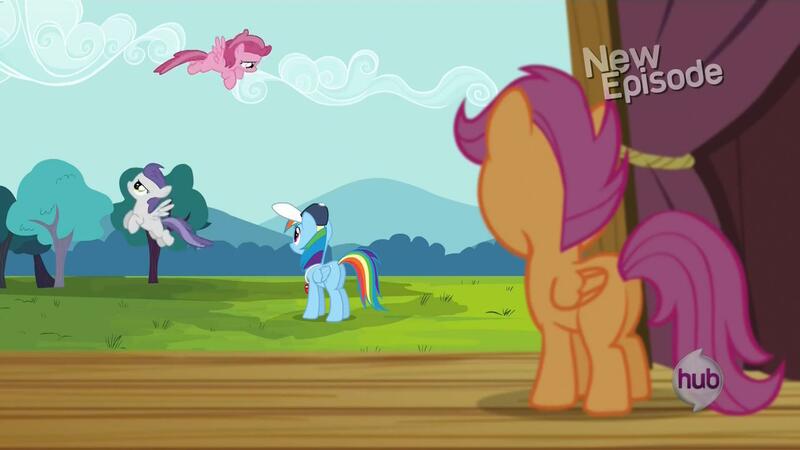 Flight to the Finish is one of those episodes that reminds you why MLP: FiM is a special show to a lot of people. It’s a wonderful package of genuine charm, humour and great character moments, with all its parts coming together into an incredibly empowering message for children that doesn’t talk down to them. In essence Flight to the Finish is about childhood and self-identity, but it’s the thoughtful construction of those ideas that makes this episode so fantastic. Flight to the Finish has so much grace in its character work. You believe every single word and action of every single character because you know that’s who those characters are. It begins with simple things like the way its jokes are great tongue-in-cheek reflections of its characters from Silver Spoon saying “But we already made fun of them for being blank flanks!” to the minor side conflict of Dash being a professional judge and having to desperately fight her own enthusiastic personality, but it evolves into being a vehicle for the conflict itself and for the audience’s investment with that conflict. The way the devious personalities of Diamond Tiara and Silver Spoon cause them to exploit Scootaloo’s weakness of not being able to fly, the way Scootaloo comes to feel insecure about it because it makes her believe she’s stuck in the shadow of her idol Rainbow Dash, the way Apple Bloom and Sweetie Belle’s immaturity leads them to react badly to Scootaloo’s false bravado and insecurity, the way Dash’s relative maturity combined with her straightforwardness causes her to go after Scootaloo herself and unpatronisingly empower her to take pride in her individuality, and the way the central conflict is resolved when the Cutie Mark Crusaders’ long-established closeness and determination allows them to overcome their problems, which is marked by a charming callback to the adorably upbeat ‘Hearts Strong as Horses’ from earlier in the episode. Scootaloo is overcoming the unrealistic expectations she’s put on herself from her idolisation of Dash and becoming her own self-confident individual, and this episode really takes her further down that coming of age path that she started to take last season in Look Before You Sleep. Flight to the Finish also has really wonderful ideas that deserve to be taught to children, ideas that I think truly matter in the real world. Scootaloo is at the very least a late bloomer, and at worst physically disabled, but besides Diamond Tiara and Silver Spoon no one seems to look down on Scootaloo in the slightest for it. 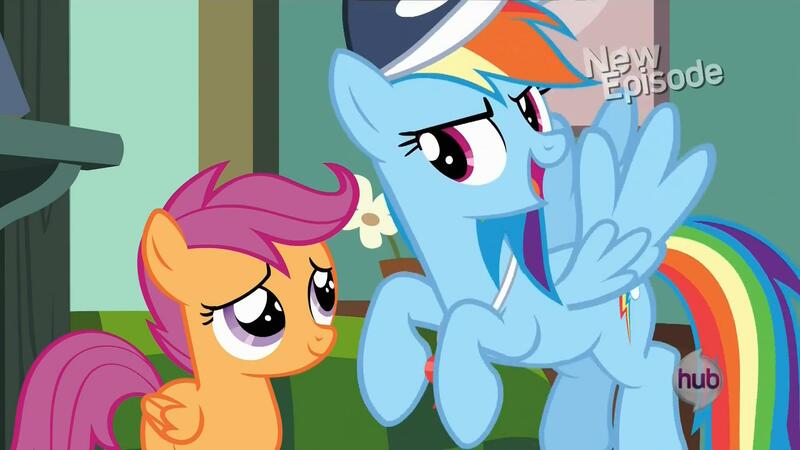 When Dash tells Scootaloo “I’m me and you’re you” it’s never even vaguely implied that Scootaloo is less capable than her in any way. Friendship is Magic is above even trying to explicitly make a point about how disability doesn’t make you any less of a person (or pony) because it’s totally normalised the acceptance of people who are different. This is such a great worldview to have in my opinion, one that shows MLP’s ideas about friendship and acceptance are more than “we’re different but that’s okay” and one that I hope becomes positively influential on the younger audience of the series. Flight to the Finish is without a doubt one of the most perfect and pure representations of that philosophy in the entire series. Flight to the Finish is just a really, really good episode on so many levels. It’s cute and funny and tightly structured, but more than that it’s a thematically fulfilling character episode with a brilliant earnest moral message for children that’s subtly articulated but spoken loud and clear. It’s episodes like this that are the reason we all watch MLP.